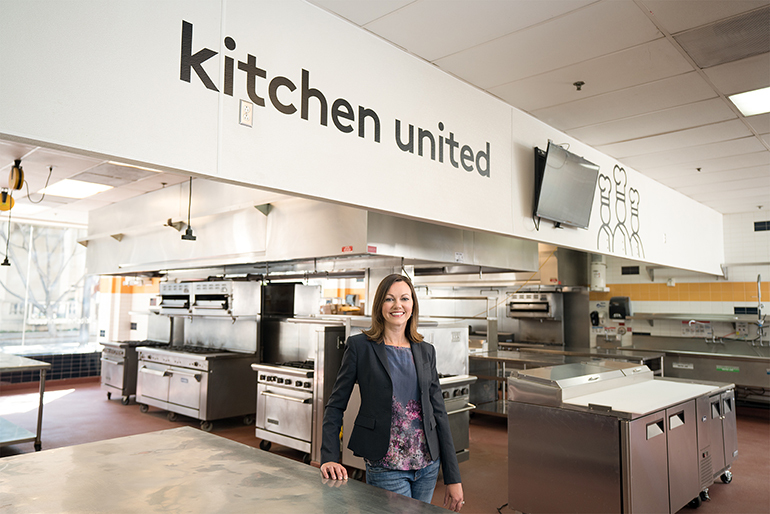 Kitchen United, a commissary kitchen startup specializing in off-premise dining, has named former Taco Bell chief development officer Meredith Sandland as COO, the company said Tuesday. Sandland will be responsible for driving revenue and overseeing the rollout of a national chain of delivery-friendly commissary facilities. At 7,000-unit Taco Bell, she led the addition of about 1,000 restaurants over four years. The first Kitchen United location is scheduled to open in Pasadena, Calif., in a few weeks. The 12,000-square-foot facility is designed primarily for restaurant operators looking for licensed kitchen space to build takeout, catering or delivery businesses. The tech-enabled facilities use integrated point-of-sale software, back-of-the-house automation and ordering efficiencies that are compatible with various delivery platforms. It also offers shared rentable space to food truck operators and other food entrepreneurs who need permitted kitchen space. 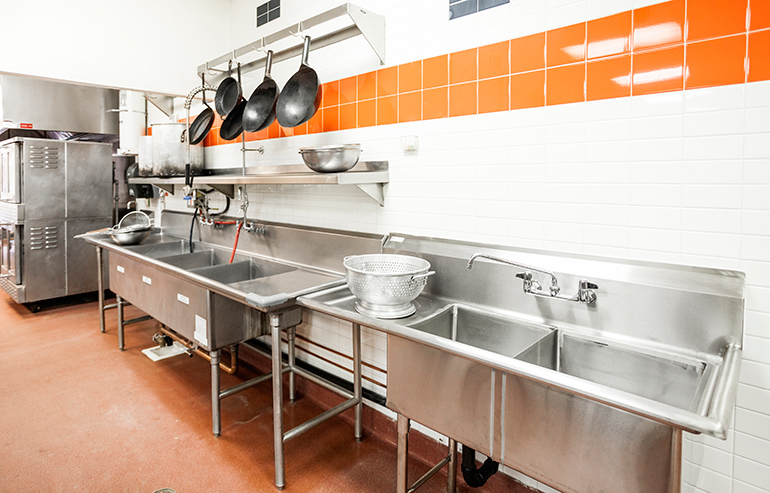 Restaurant operators can either negotiate longer-term leasing of kitchen space at a Kitchen United location or pay a flat fee of $25 per hour for shared rental space. The company expects each location to serve as an operational home for eight to 12 restaurant concepts, as well as eight to 12 individual shared spaces. Jim Collins, CEO of Kitchen United, said restaurant operators are increasingly looking for a way to expand delivery without necessarily investing in more brick-and-mortar facilities. Some have found their delivery business to have outgrown their existing kitchens, while others are launching virtual delivery-only concepts. The goal is to build a national footprint of kitchens that will allow restaurants to move easily into new markets, he said. Two more Kitchen United locations are scheduled to open before the end of 2018, possibly in Atlanta and another in Southern California. The company expects to have as many as 50 locations by the end of 2019. Sandland said she is excited by the Kitchen United model. Sandland joins former McDonald’s Corp. executive Atul Sood, Kitchen United’s chief business officer, as well as Massimo Noja De Marco, formerly of SBE Entertainment, who is the facility’s chief culinary officer. Kitchen United was spun off Pasadena, Calif.-based Cali Group in 2017, a holding company that includes the CaliBurger restaurant chain and technology companies such as Miso Robotics, which created “Flippy,” an industrial burger-flipping robotic arm for commercial kitchens, and self-ordering kiosks with facial recognition.